The SEGA Forever program may have had it's release schedule slowed down earlier this year, but that doesn't mean there aren't a few classics left in Sega's library that are slated to come to Android. 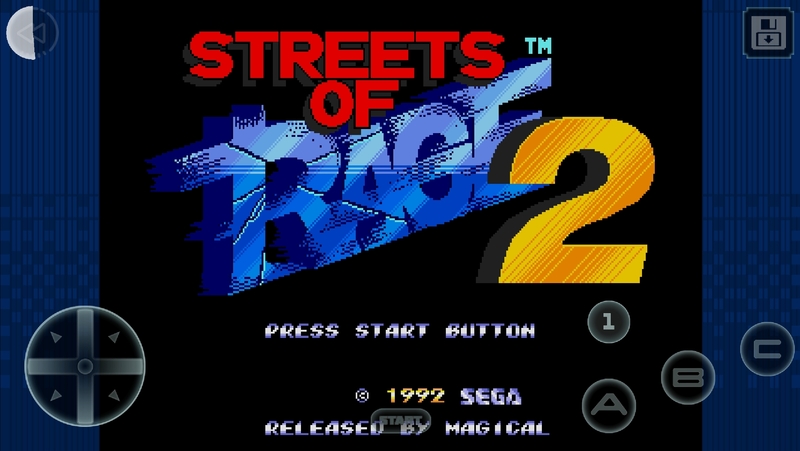 Last month we received a re-release of Sonic The Hedgehog 4 Episode II, and today the classic beat 'em up Streets of Rage 2 is on the menu. 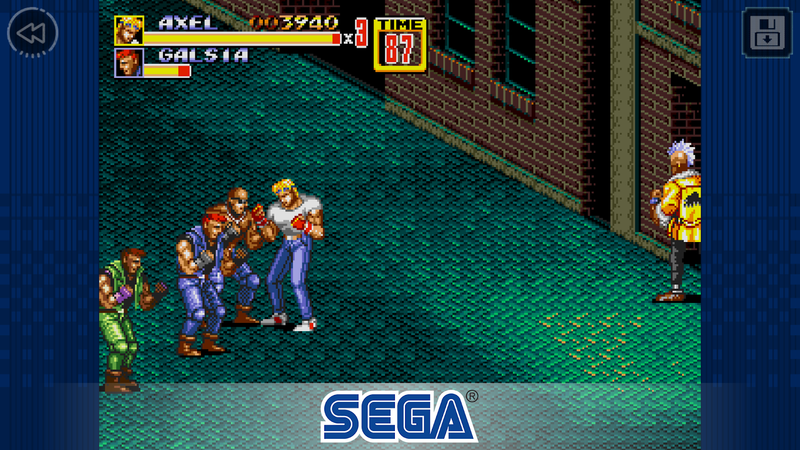 This is the first time an official release of Streets of Rage 2 has landed on our digital shelves, and you can play it for free right now as long as you don't mind a bunch of annoying advertisements. 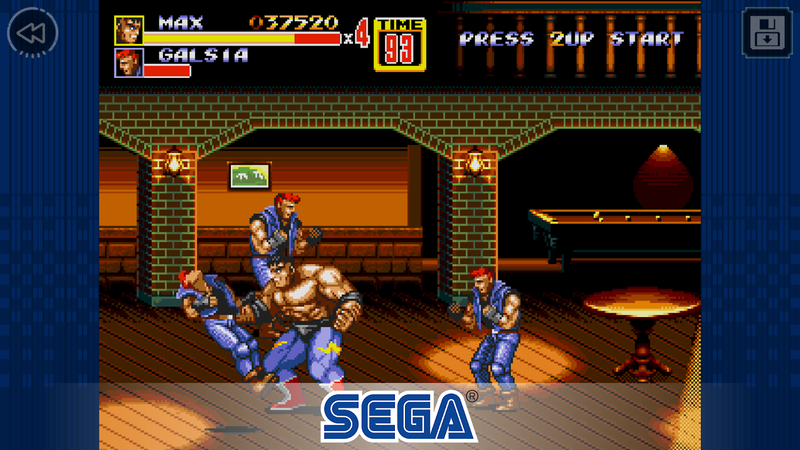 Like most SEGA Forever releases, Streets of Rage 2 Classic offers an ad-filled version for free players, and if you don't enjoy those ads, then you can remove them with a single $1.99 IAP. On the face of it this sounds like an alright deal, but once you start playing, things take a turn for the worse. Despite what the Play Store listing states, controller support doesn't work across the board with all HID compatible controllers. This is why many corded controllers will have issues, and why Shield TV support is glaringly absent. For a game that pretty much demands precise controls, it sure seems weird that Sega still hasn't fixed this problem. It's even more insulting that the company keeps listing HID controller support as a feature in its Forever-branded releases when it's not true. The touchscreen controls also don't help to address the lacking physical controller support. All on-screen controls are static, which is a very real problem for the d-pad. You have to keep your eyes on your left thumb at all times to make sure your placement is correct. In the heat of a fight, the last thing you want to do is take your eyes off of your enemies. Now, you do have the option to resize your controls in the settings, which can help a little, but in the end, games like this need a floating d-pad. The gameplay is just as good as it's ever been. If you enjoy classic arcade beat 'em ups, then you are probably already familiar with this title and how great it is. There's a total of four heroes to choose from, and eight sidescrolling levels to make your way through. Each stage has a mid-level and end-level boss fight, and they all pack some pretty crazy powers. In the beat 'em up world, this is truly a classic. 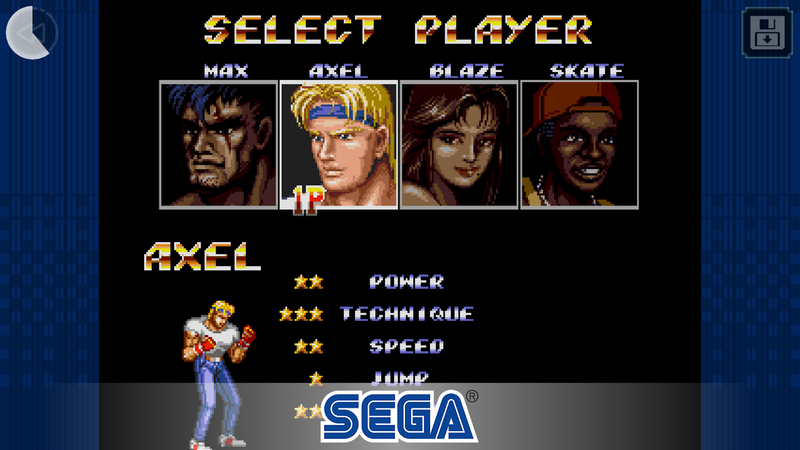 I can't say Streets of Rage 2 Classic is worth spending the $1.99 to remove ads since the controls are so poor. There may be some fun to be had casually playing for free if you don't mind annoying advertisements, but you're going to have a very tough time completing this game using only the touchscreen controls. You'd be better off using an emulator to play this, since many of them support physical controllers and floating d-pads, which says a lot about Sega's prolonged commitment to the Forever program and its mediocre quality.